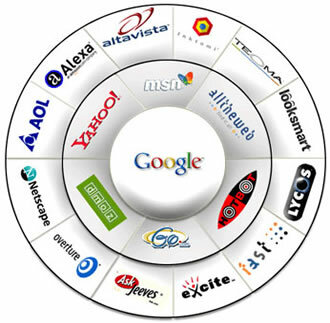 Search engines provide the majority of traffic to websites across the Internet, regardless of website focus. Therefore, if your site cannot be properly located and indexed by the leading search engines, you are missing out on your best chance to drive targeted visitors and potential revenue. Keyword analysis is the process by which you analyze and select keywords based on traffic, competition, and relevance. If you are not selecting the proper keywords, then the rest of the optimization is really a lost cause. The text and theme of the site needs to revolve around these keywords and very much define how the site appears to both users and search engines. Onsite optimization deals with changes made to the site itself. This involves making changes to the text content, architecture of the site, HTML code, and page layout. CSS design is often recommended when working to optimize a website as it helps keep important content at the top of your pages and allows for your pages to be easily and efficiently crawled by the search engines. This is the most commonly understood aspect of SEO, but only accounts for about 40% of a site's rankings. This is where your keywords are placed throughout the code to show the search engines what your site is about. Offsite optimization deals with changes made outside the scope of the site. This mainly involves increasing the quantity and quality of inbound links to the site. Approximately 60% of Google's current ranking algorithm is based on inbound linking. Your goal is to maximize the site's exposure on the Web and get as many sites as possible to link back to your site. What is a Good Keyword and What is Not? Keep in mind that your number one goal is to accurately depict what the site is about through the keywords (and the eventual text content). If your site is not properly described by the keywords, then either the site is targeted wrong or you've selected the wrong keywords. Search engines like sites that are targeted to a specific topic. If a site is spread too thin as far as topic goes, then it will be much harder to appear as an authority for any one topic. Search engines do favor large sites, but generally it is better to have a smaller targeted site than a larger broad site that is about many topics. It's not uncommon to discover site theme issues when doing keyword selection. Oftentimes, it leads to a reassessment of the site as a whole (which is a positive). In this way, general marketing, user experience, and SEO overlap. If you do not feel your site is targeted towards the correct keywords and themes, it is important that you re-target the site and its content prior to optimization. You should understand your audience, the purpose of your site, and its themes before even starting an SEO initiative. It is also common for sites to get caught up in industry jargon. You have to look at your keywords as your target audience would. If you're targeting the general consumer and you use lots of industry jargon, then you cannot expect much of a return on investment. Another thing to watch out for is overly generic keywords. If you are attempting to optimize your site for keywords that can mean many other things, you are bringing in a whole lot of new competition. So, we have a small list now of what to avoid. Depending on the keyword selection, the Title should be made up of the first two keywords. This provides high density and prominence for both keywords instead of using it all on one. Of course, the Title should make sense and be descriptive of the page. The Description borrows the same idea, but expands on it a little. It is ideal to include both the primary and secondary keyword in a short sentence describing the page. The Keywords field is simply a list of the keywords separated by commas with no spaces in between. The Robots tag tell the search engine spiders what to do with the page. "Google interprets a link from page A to page B as a vote, by page A, for page B. But, Google looks at considerably more than the sheer volume of votes, or links a page receives; for example, it also analyzes the page that casts the vote. Votes cast by pages that are themselves "important" weigh more heavily and help to make other pages 'important.'" -Quote from Google's website. Link popularity is one of the most important factors search engines use in determining where you will rank in the search engine results (SERPs) for your keywords and phrases, as it helps them to determine how important or popular your site is and what its reputation is. Link building, as part of the offsite optimization process, is the process of finding related/relevant websites and receiving a link from them to you. Natural linking occurs when a site has good content that others will link to without being asked. But to get these links, people have to know about you. It is a catch 22. Building links has become pretty sophisticated over the last couple of years. Today you need a mixture of links from many sources including articles, press releases, social media, blogs, directories and others. About The Author: WebAssist, helps web developers and designers build better websites faster with Dreamweaver extensions, CSS templates, as well as pre-built PHP scripts and solutions. Masuk Sekolah Jam Setengah Tujuh? Baguuuus….